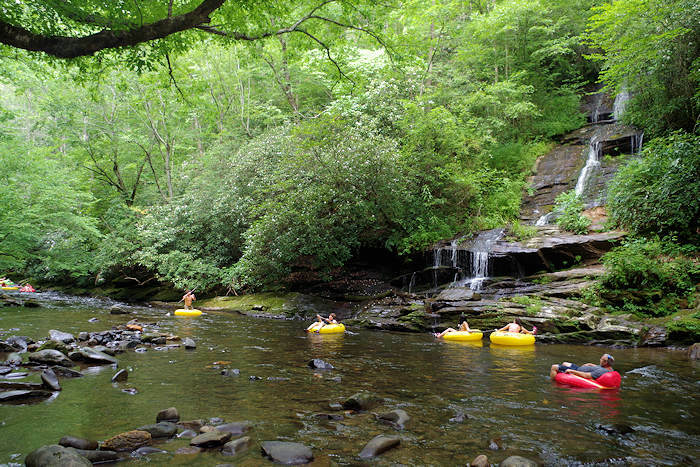 The 2.7-mile hike from Sterling Gap is strenuous since you climb 2,000 feet in elevation. It's a steady climb since the trail is a former jeep access road. At 1/2 mile up the trail, the Long Bunk Trail intersects. 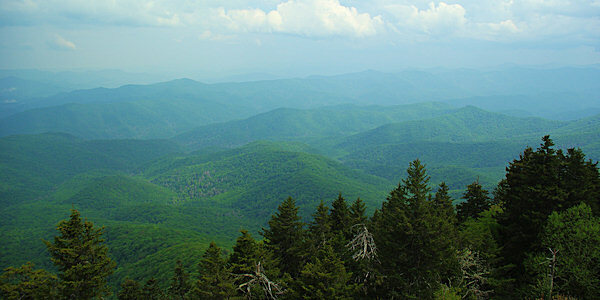 Continue climbing for two miles until you reach the ridgeline. Turn right on the Mount Sterling Ridge Trail and the Tower will be about 4/10 mile on the right. There are no views from the base of the tower. 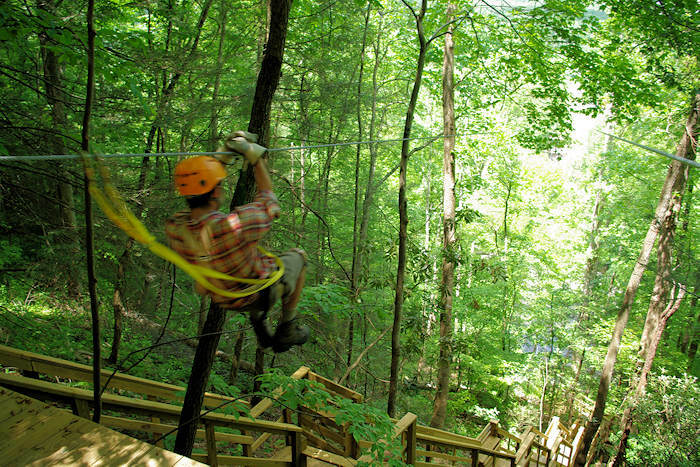 You will need to climb to enjoy the panoramic views of the Great Smoky Mountains National Park. Back Country Campsite #38 is at the base of the tower. Water is 1/4 mile down the Baxter Creek Trail on the left. You could even spend the night in the small cab atop the tower. Mt. 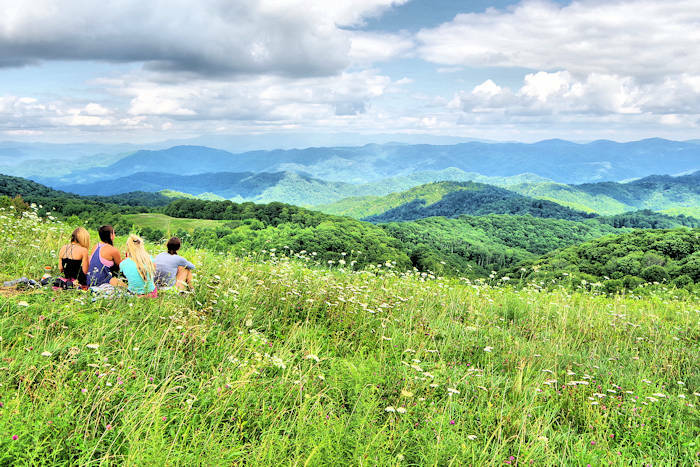 Sterling was known as the Devil's Bedchamber to early Cherokee hunters. 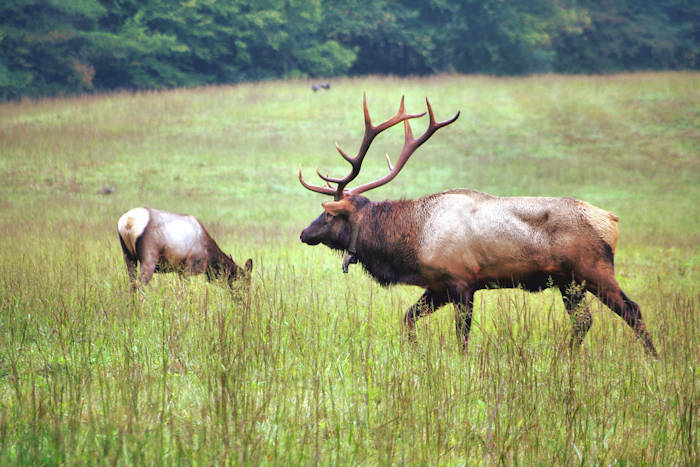 Since the beautiful Cataloochee Valley is nearby, you should definitely see the elk, the historic structures and more hiking trails there. 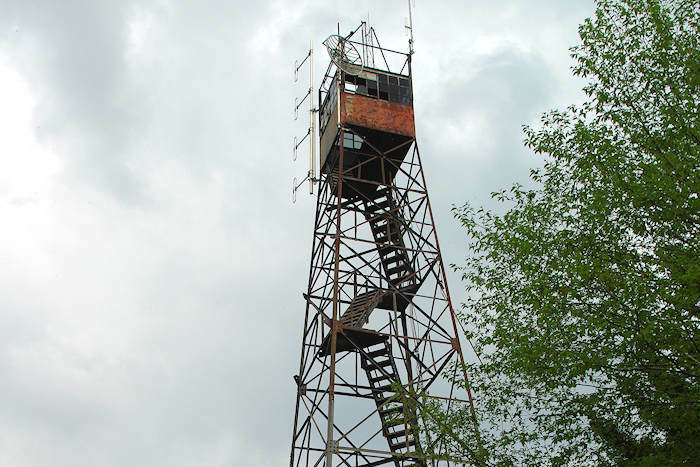 Another tower is located on neighboring Mt. Cammerer.